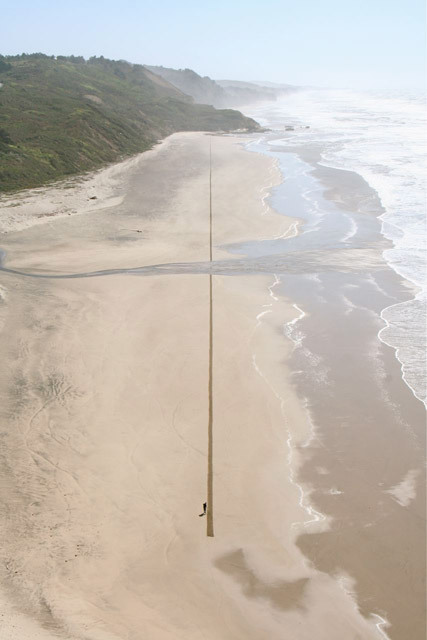 It is probably the biggest tag in the world. 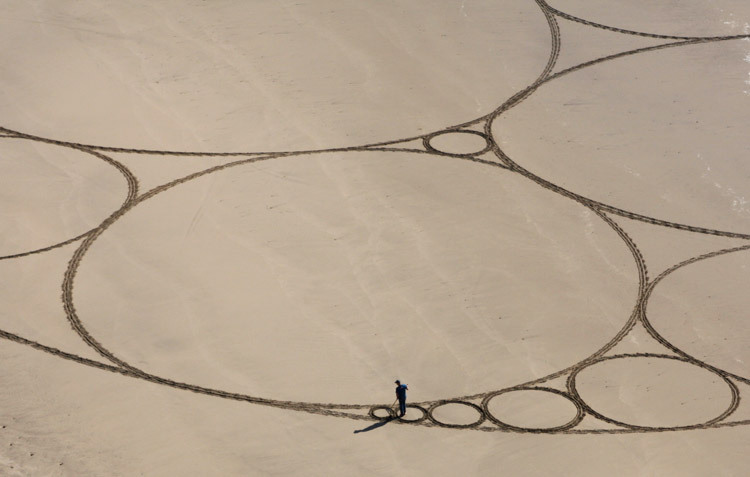 And it’s -surprisingly- made by a wealthy sheikh. 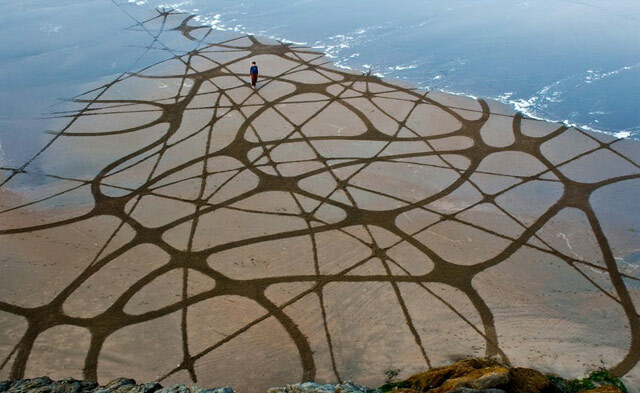 He has written his name on the surface of his own private island (United Arab Emirates ) so big it can be seen from Google map. 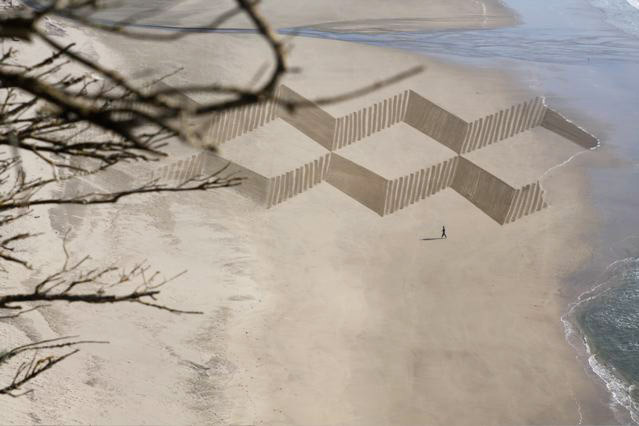 The letters seem to be a full kilometer tall in some places. 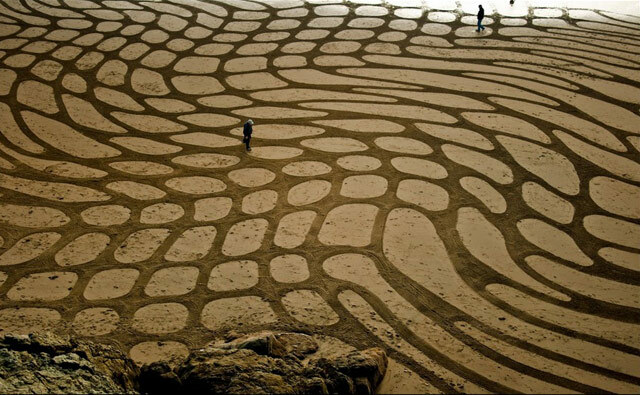 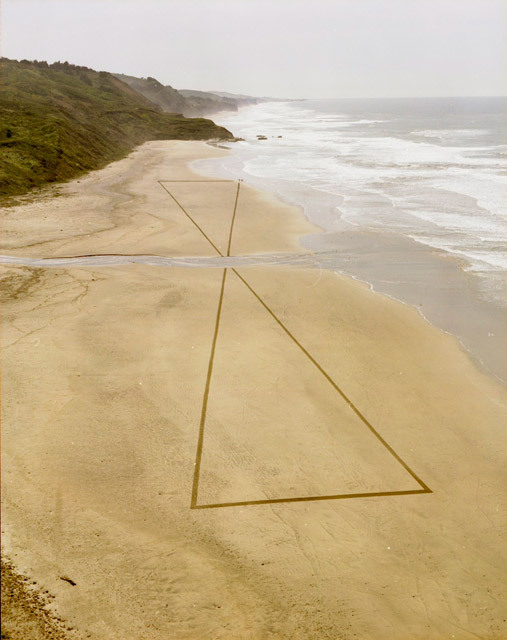 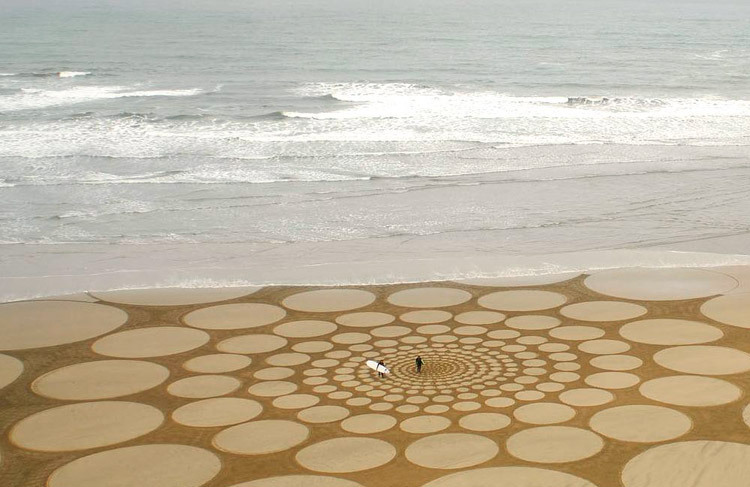 Jim Denevan is an American artist who creates temporary land art. 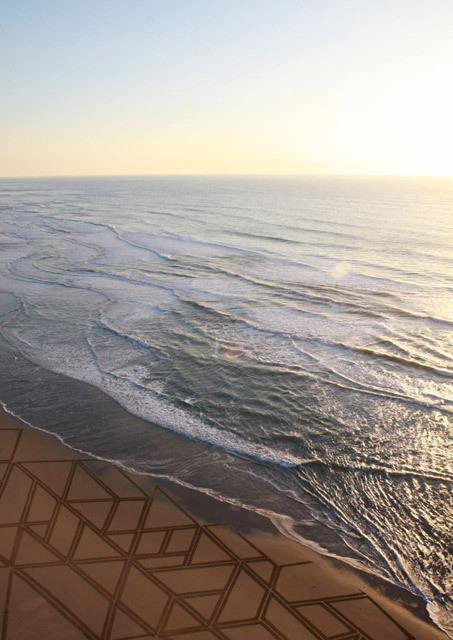 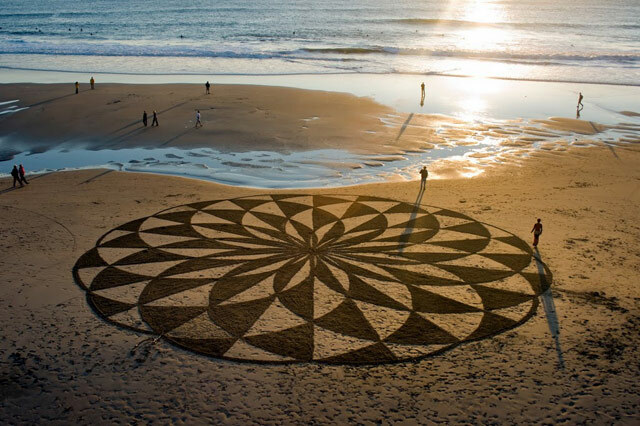 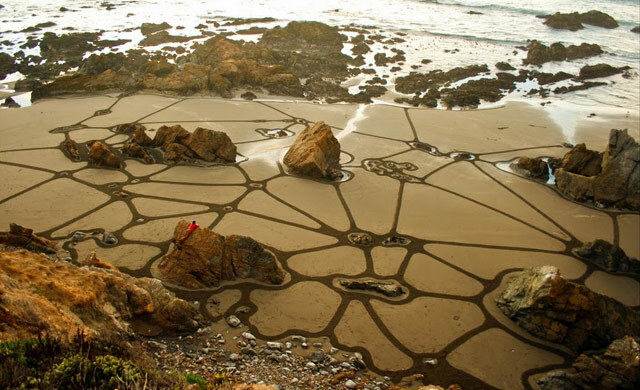 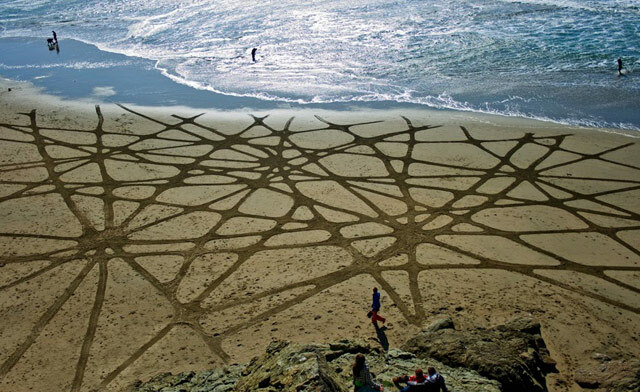 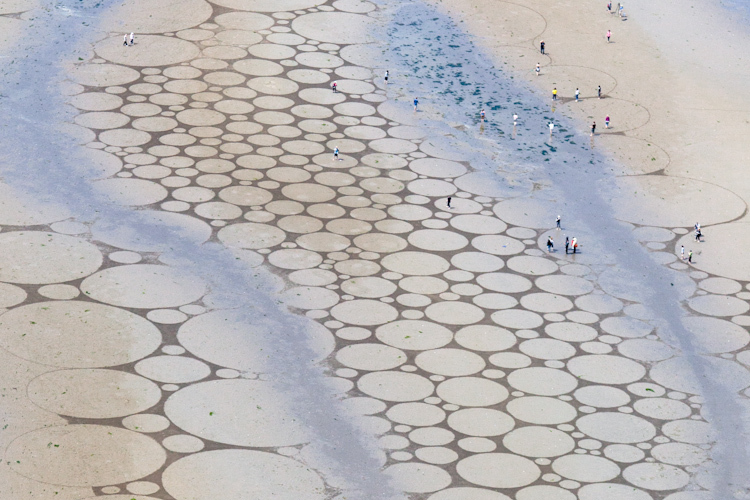 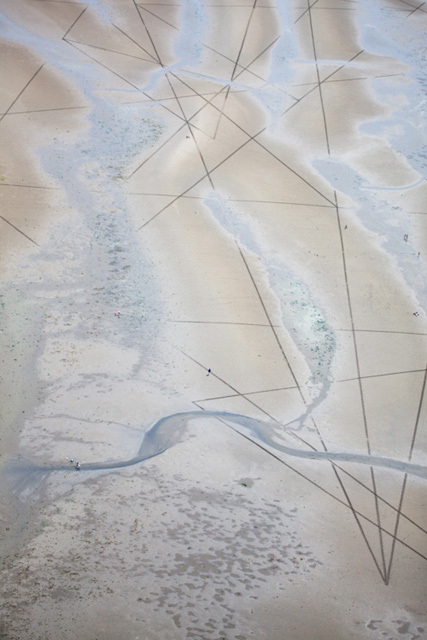 He makes drawings on sand, earth and ice that are eventually erased by waves and weather. 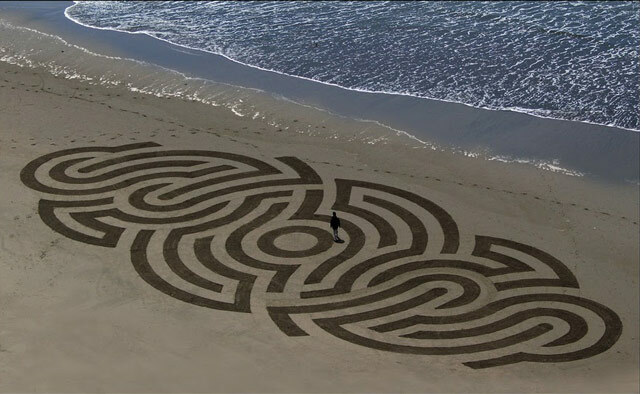 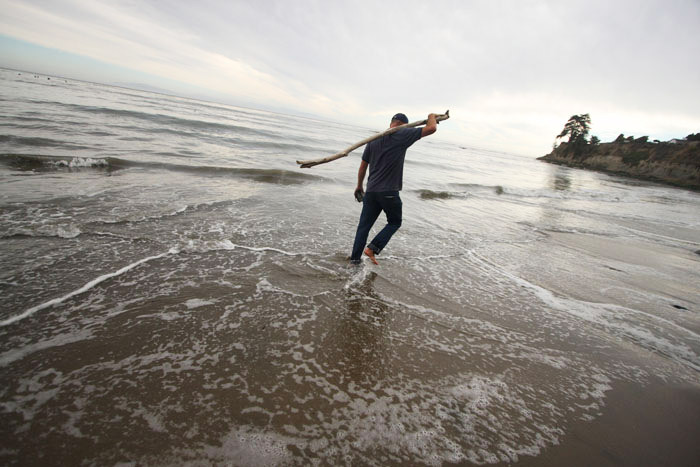 Andres Amador from San Francisco calls himself a landscape and movement artist and explorer.